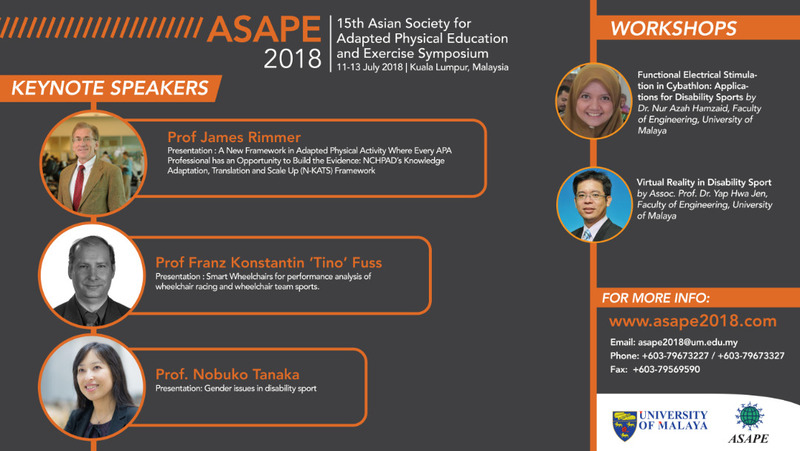 The Centre for Sport and Exercise Sciences, University of Malaya will be hosting the 15th Asian Society for Adapted Physical Education and Exercise Symposium from 11-13 July 2018. It is an opportunity to bring together disability sport experts from the region. As this will be the first time that such a conference will be held in Malaysia, it would serve as an impetus to further develop the area in the country. By bringing together community sports and elite sports organisations, the symposium would serve as a platform to promote disability sport. This biennial symposium has previously been organized in China, Hong Kong, Indonesia, Japan, and South Korea. The theme for this year’s symposium is “Bridging Communities through Adapted Physical Activity”. This theme was chosen because the programme includes themes from various fields including architecture, engineering, and medicine. 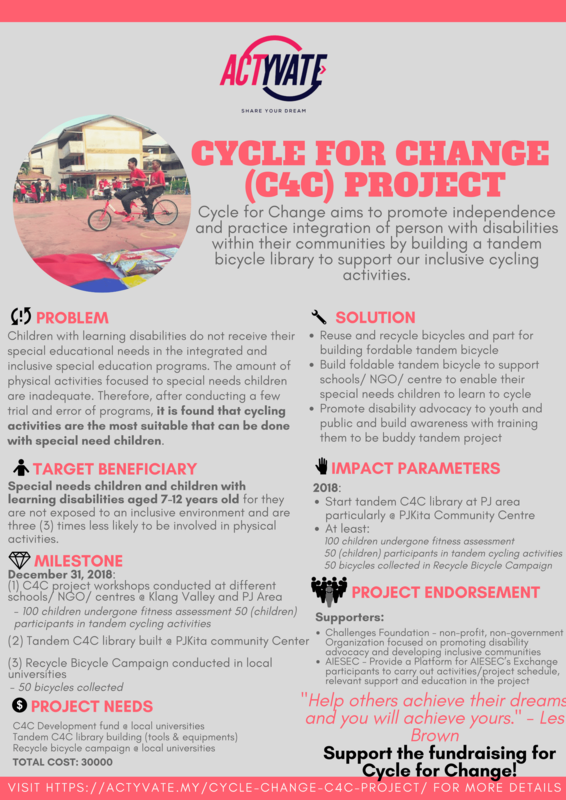 There will also be two satellite programmes – a health and sports carnival for children with disabilities on 28 June, 2018 and a social entrepreneurship workshop for athletes with disabilities on 10 July, 2018. There will be keynote presentations from three eminent researchers. Prof. James Rimmer from the University of Alabama at Birmingham has been developing health promoting programmes for persons with disabilities for the past 30 years. His presentation will be on “A New Framework in Adapted Physical Activity Where Every APA Professional has an Opportunity to Build the Evidence: NCHPAD’s Knowledge Adaptation, Translation and Scale Up (N-KATS) Framework”. Prof. Franz Konstantin ‘Tino’ Fuss from Swinburne University of Technology has a background in medicine and bio-engineering. His presentation is entitled “Smart Wheelchairs for performance analysis of wheelchair racing and wheelchair team sports”. Prof. Dr. Nobuko Tanaka from Toin University of Yokohama will talk on “Gender issues in disability sport”. In addition to the keynote sessions, there will be nearly 50 oral and poster presentations as well as two workshops (Functional Electrical Stimulation in Cybathlon: Applications for Disability Sports and AR/VR in disability sports). Assoc. Prof. Dr. Selina Khoo from Centre for Sport and Exercise Sciences, University of Malaya is the Chairperson of the 15th Asian Society for Adapted Physical Education and Exercise Symposium.